Established in 2005, PeachCraft Studios of Drama, Voice & Filmmaking (PDVF) offers professional training for actors, vocalists, dancers, musicians and filmmakers. A member of the Screen Actors Guild since 1991, Kate Kennedy, actor, writer, director and producer, has developed her own distinctive imagination based technique for inspired acting now used by the Members of the PeachCraft Studios of Drama, Voice & Filmmaking. Building upon the Russian based techniques of Constantin Stanislavski, Michael Chekhov and Stella Adler infused with Kennedy's own organized technique developed over two decades as a Casting Director working with Dreamworks, Paramount, Disney, Miramax, HBO, NBC, CBS as well as with A-list directors, actors and producers in film, television and stage. The PeachCraft Actors Studio advocates defining energies in order to absorb the tone of the writer which then informs the actor's senses on choices for the character's psychological and physical core. Kate's modern approach, inspired by the Masters of yesterday, brought to PeachCraft Actors Studio a new wave of professional actor training. Kate is a professional producer who began her career in Film, TV and Stage as a Casting Director and Master Acting Coach with now over 25 years of experience in Los Angeles, San Francisco and New York City. After graduating with a bachelors degree from Marymount Manhattan College, Kate began her acting career touring with San Francisco's famed Lilliput Players Theatre Troupe and made her television debut in NBC's “Midnight Caller.” Beginning with “JOY LUCK CLUB”, Kate amassed a distinguished strand of Casting Director credits from the Major Motion Picture Studios and TV Networks in Los Angeles. 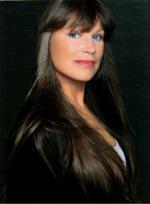 Her film, stage and tv credits can be viewed on the professional film database IMdb.com under Kate Kennedy I. Since its inception, PeachCraft Studios has launched the acting, singing, dance and filmmaking careers of many talented actors, singers, broadway performers and filmmakers alike. Some lucky ones have worked along side Meryl Streep, Amy Adams, Alec Baldwin, Tina Fey, Brad Pitt, Phillip Seymour Hoffman, Kyra Sedgwick and many more. PDVF Film Studio has produced over 34 films, launching the acting, writing, directing, camera operating and singing careers of many young talented artists. The students have distinguished themselves by gaining entrance into the colleges, professional schools of their choices, being cast on film sets and festivals as well as being cast on some of the most glamorous and professional sets for TV, New York stages. PeachCraft's focus is on enhancing the artist's special abilities through focused training with the highest level of distinguished professional faculty in the industry. Established in 2005, artist development at PeachCraft Studios of Drama, Voice & Filmmaking is simply wonderful. Baritone Gideon Dabi has a distinguished career as a voice teacher and music educator whose students have graced the stages of the top universities as well as Broadway. A former member of the faculty at the Boston University Tanglewood Institute, Gideon brings over ten years of experience to the PeachCraft Studios of Drama, Voice + Filmmaking. Equally adept on stage, Gideon was heard last season singing the role of Marcello with New York Lyric Opera and the previous season at Symphony Hall as a soloist with Keith Lockhart and the Boston Pops, as Papageno in BU Opera's The Magic Flute, and as the title character in Michael Nyman's The Man Who Mistook His Wife For a Hat. This summer he joins the fourth-oldest opera company in America, Chautauqua Opera, in The Magic Flute and Luisa Miller. In previous seasons, he appeared as Marcello in La Boheme, Reinaldo Arenas in the premiere of Jorge Martín’s Before Night Falls (Act II), and the Man with the Shoe Sample Kit (Postcard from Morocco) with BU Opera. 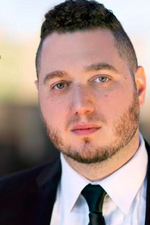 He has sung with several companies in New York/New Jersey such as Opera NY, Manhattan School of Music Opera, New Jersey Concert Opera, Opera at Florham, and Rutgers Opera Company, singing such roles as Falke (Die Fledermaus), Zuniga (Carmen), and Ceprano (Rigoletto). 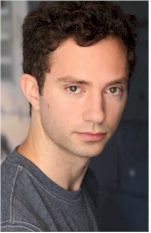 Gideon was a featured soloist on the Grammy Award-winning collection The Anthology of Jewish-American Composers and a Perry Award nominee for his performance as Olin Britt in the Enchanted Players production of The Music Man (2004). He is a graduate of the Manhattan School of Music, where he studied with Mark Oswald, and a graduate of the Opera Institute of Boston University, where he studied with Sharon Daniels. Kristin Carbone is thrilled to be on staff at PeachCraft Vocal Conservatory Faculty now going into her third year! Kristin has performed on Broadway in: Mary Poppins ("Katie Nana" and the u/s for "Mrs. Banks/Birdwoman"), Fiddler On The Roof ('04 revival - "Tzeitel/us), Into The Woods ('02 revival - "Milky White", "Stepsister"). 1st National Tours: Hal Prince's Show Boat ("Magnola"), disney's Beauty and the Beast, and Principal Vocalist in An Evening with Michael Crawford in Concert. Regional Shows: PHANTOM ("Christine") at Walnut St Theatre, Kiss Me Kate ("Kate", "Lilli") 1776 ("Abigail Adams", The Music Man ("Marian"), Carousel ("Julie"), She Loves Me ("Amalia"), Dear World ("Nina"), Passion ("Clara"), and The Fantasticks ("Luisa"). Craig Newman holds a bachelor's degree in theatre studies and film studies from Emory University, where he was an active performer and award winning director. In addition to directing a number of short films, he was the recipient of an Award of Distinction for his direction of Sarah Kane's Cleansed and awarded a Research Grant for his documentary film on freight-train hoppers. Since arriving in New York City in 2008, Mr. Newman has been cast in a variety of Off-Broadway productions while continuing his training in Chekhov technique with Innovative Artists, NYC. Catch CV Newman opposite Michael Strahan in National Commercial Metamucil! In January 2009, he began teaching this technique to members of the Michael Chekhov Theater Company in workshop settings and one-on-one sessions. A student of Lenard Petit, Mr. Newman works with Kate Kennedy, a Master Michael Chekhov acting coach who trained under Mala Powers, in her commitment to the philosophy and foundation of her training the Michael Chekhov technique at Kennedy's PeachCraft ACtors Studio Master Class.